Relient K vocalist Matt Thiessen and guitarist Matt Hoopes discussed their new album Collapsible Lung, with Absolutepunk.net, as well as going on a co-headline tour with Motion City Soundtrack in the coming months. Read the entire interview here and check out a clip of it below. You’re doing a Midwest tour this month. Will you be doing a more extensive run in the fall? Hoopes: Yeah, we’re actually working on a few options right now that we’re really excited about. 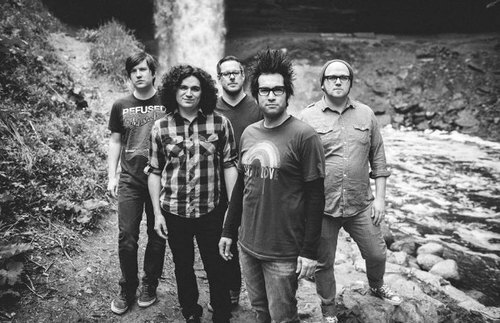 One, I’m not even sure if I should say, but it’s 99% sure and we’re talking about doing a co-headline with Motion City. Maybe it will be confirmed by the time you put this up. I mean, literally, it could get confirmed today. We won’t announce anything until it’s done, but we’ve never toured with them. We’ve always talked about it because we’re friends with them and we love their music.